Bored, Victor has found the toolbag. 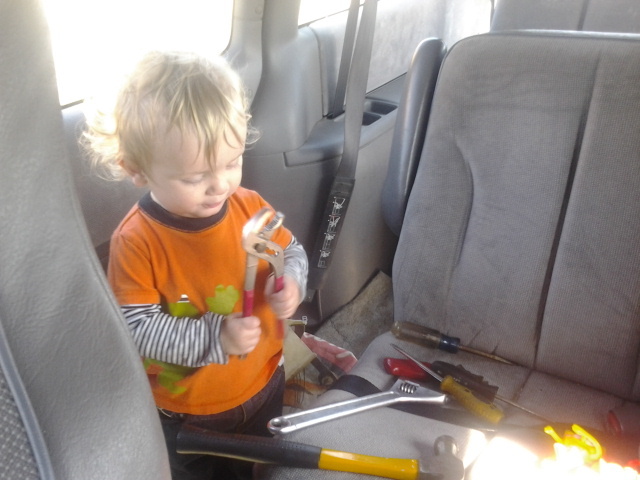 I’m pretty sure he’s going to attempt to build a swingset or a slide in here… but at the last minute he discovers urgent repairs must be made to the back of the front passenger seat. He’s been hard at work on it for 15 minutes now. I hope his shop rate isn’t too outrageous.